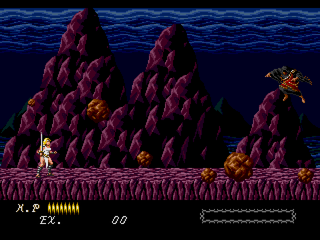 Dahna: Megami Tanjou is an action platformer game for the Sega Genesis. 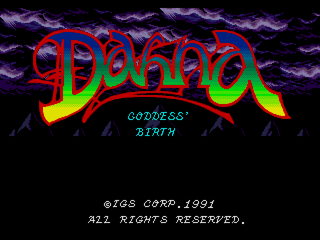 Dahna: Megami Tanjou (or Dahna: Goddess’ Birth/The Birth of a Goddess) is a platform action game. 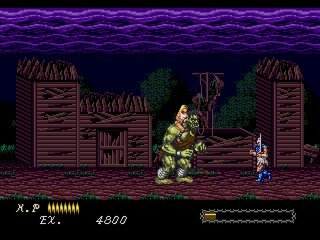 As a matter of fact, it is probably what one would describe as a cross between Rastan and Golden Axe. 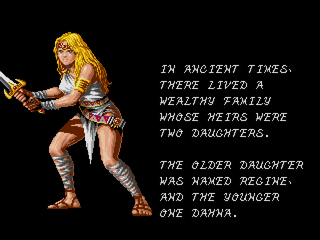 While not as slick as either of those games, Dahna offers some decent challenge, and is an overall enjoyable experience. The controls may take a while to get used to, but objectively they do not seem too bad, just a bit stiff at times. 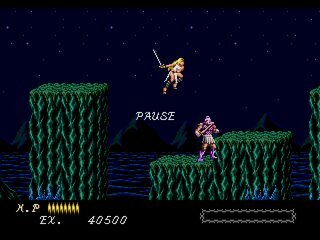 Player controls the eponymous heroine who struggles against the powers of an evil sorceress raiding her village. The story is told through cut scenes and Dahna is helped along the way by various mythical beasts. The translation itself wasn’t too difficult all things considered. Everything should be translated in this version, and there are no known bugs. Should anything unexpectedly pop up, however, the patch will be improved.